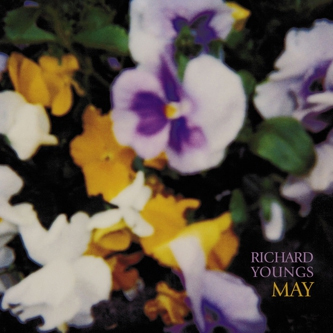 Another choice piece of catalogue from the reliable Richard Youngs, ‘May’ is one of his best-loved works and was originally released back in 2002. Made up of various recordings in Youngs’ home-town of Harpenden this sees Youngs again in ‘solo’ mode, using only the guitar and vocals to create his vision. However, in contrast to ‘Sapphie’, this album moves toward shorter compositions and more ‘classic’ folk structures comparable with ‘Pink Moon’-era Nick Drake or even Bert Jansch at a stretch. Of course though, Youngs never lets his vision descend into folk cliché, his minimalism and defiant use of silence sets his work apart from so many pretenders giving the recordings a somewhat spiritual quality. Beginning with the haunting bliss of ‘Neon Winter’ we are transported instantly into a world of calm transcendence as Youngs spaces his guitar notes out with a measured grace. On first listen these tracks might not quite have the same impact as much of his other work, but listen again and the hidden hooks and submerged melodic elements will have worked their way deep into your soul and will gradually become unforgettable. ‘May’ is a mixed record and might not have the same heart-wrenching impact as ‘Sapphie’ or ‘Airs of the Ear’ but give it time and I challenge you not to keep returning to it again and again. Gorgeous and highly recommended.